Pastor of Students and Community at Parkside Bible Church. Justin is a 2nd generation pastor. 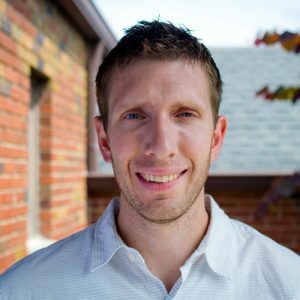 He did his undergraduate work at Baptist Bible College (now Summit University) and his graduate work at Biola University. He and his wife Emily have three daughters. Prior to joining the pastoral staff at Parkside, he taught high school Bible for 5 years. Justin is a fan of all Indianapolis sports, although he still can’t figure out why Indy Eleven fans cheer for tie games. You’ll find him posting on Facebook about his family here and on his true social media love, Twitter.